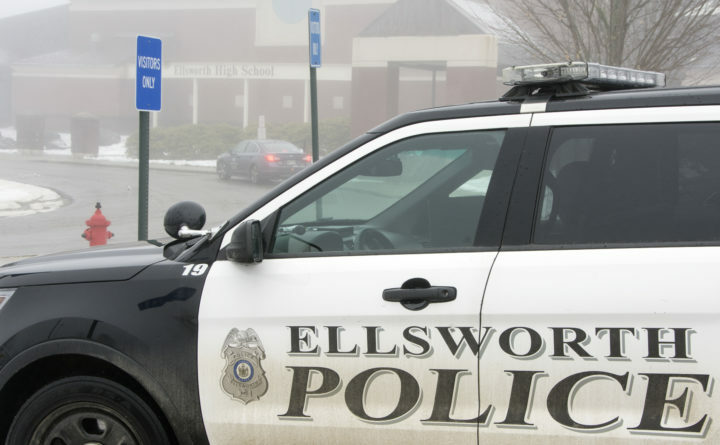 A student at Ellsworth High School has been charged with solicitation to commit murder, which is a Class A felony charge. He was initially arrested earlier this month after allegedly plotting in an online chatroom to have someone else killed. Koda Sinclair, 14, of Ellsworth was formally charged this week in Ellsworth District Court, according to court documents. Though Sinclair is a juvenile, the charges are public because of the severity of the solicitation allegation. People convicted of Class A crimes in Maine face potential punishment of up to 30 years in prison and a $50,000 fine. Sinclair also is facing a charge of terrorizing, which is a Class D misdemeanor. Details of the circumstances that led to the solicitation charge were not available in the case file. Sinclair is one of two boys charged March 8 by Ellsworth police with conspiracy to commit murder. The messages exchanged in the online chatroom, Foster said, meet the threshhold for the charge of solicitation to commit murder. He declined further comment about the case. The other boy, who has not been publicly identified, is a 16-year-old from Brewer, Ellsworth police have said. Information about whether charges formally have been filed in court against the Brewer boy, or whether those charges may be felonies or misdemeanors, was unavailable Wednesday. Ellsworth police Capt. Troy Bires declined Wednesday to comment on the incident or resulting charges. Daniel Higgins, superintendent of Ellsworth schools, did not respond to a request for comment about the case Wednesday. Ellsworth school officials have a policy of not commenting on or releasing public information about students. Sinclair was arrested March 8 but has since been released and technically remains under house arrest with his family, according to court documents. He is allowed to go to school but otherwise is prohibited from leaving his house without a parent or guardian, according to court records. He is not allowed to possess firearms or dangerous weapons and is barred from using social media and from using the internet without direct supervision. Sinclair’s defense attorney, Jeff Toothaker of Ellsworth, said Wednesday that he doubts the felony solicitation to commit murder charge filed against his client will stand up in court.